Dr. Alsheikh was raised in Houston, Texas and now currently resides in San Antonio with his wife and son. Dr. Alsheikh has pursued a career in refractive, cataract, and complex cataract surgery. Dr. Alsheikh utilizes all of the approved cataract surgery implants and state of the art refractive technologies to ensure the best visual outcome for his patients. In addition, Dr. Alsheikh uses an intra-operative instrument called the ORange to further ensure optimal results. 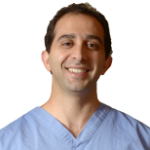 Dr. Alsheikh received his medical degree from Texas Tech Health Science Center, completed his ophthalmology residency at Oregon Health Science Center, as well as a corneal fellowship at the University of California in San Diego. Prior to joining TLC Dr. Alsheikh acted as Assistant Professor in the Department of Ophthalmology at the University of Texas Medical Branch in Galveston. Dr. Alsheikh is certified by the American Board of Ophthalmology. He is currently an adjunct Clinical Assistant Professor of Ophthalmology at UTMB, and is a former quality chairperson for the department of Ophthalmology at UTMB. Dr. Alsheikh also served as director of the ocular surgical program at UTMB and is currently conducting research on techniques of complex cataract surgery including intraoperative floppy iris syndrome.